How will this program help me with my undergraduate studies? 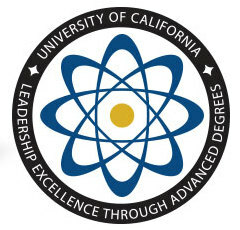 The UC LEADS program provides students with experiences in a variety of areas, such as research, leadership, science writing and networking. This program is geared to help scholars be successful in their undergraduate career by providing academic advising, workshops for building skills in areas of leadership, communication, scientific presentations, and graduate school and admissions preparation. How many units do I need to have completed before I can apply to the UC LEADS Program? This program is geared for seasoned sophomores/rising juniors. Typically students will have 72 units or come in as transfer students. Students need to be available for two years to perform research throughout the academic year, as well as during two summers. What do I do if I don't have all my application materials completed by the application deadline? CONTACT US! If a student is interested in applying but needs more time to fill out the application, s/he should contact our program to request a deadline extension. Deadline extensions are granted on a case-by-case basis. Can I apply to this program if I want to obtain an M.D. or D.V.M.? Do I need to attend seminars? Yes, seminars, workshops and quarterly meetings are a crucial and required element of this program. Attendance and participation in all summer programming (seminars, workshops, events, etc.) is required. During the academic year (fall, winter, spring quarters) scholars are required to attend meetings and events scheduled based on availability of students' schedules. If students choose not to participate in seminars, they can be dismissed from the program. My GPA is lower than 3.0, if I apply to this program, will I be considered? This program is here to help students maximize their potential. We do not expect all our students to have stellar grades, but we do look for students who have upward trends with their GPAs. Students who improve their academic situation and show promise, but do not meet the 3.0 GPA requirement, should address this issue in the Personal Statement portion of the application (this will help us understand what the benefits would be for you to be part of our program).